As I admitted yesterday, I pretty failed in getting any significant reading done this summer. I had plans to a pile of reading with a number of books needing their spines cracked, but life just kept interrupting me. With October upon us and NHL hockey set to return tomorrow, I actually did some reading over the past few days to ensure I was ready for hockey season! 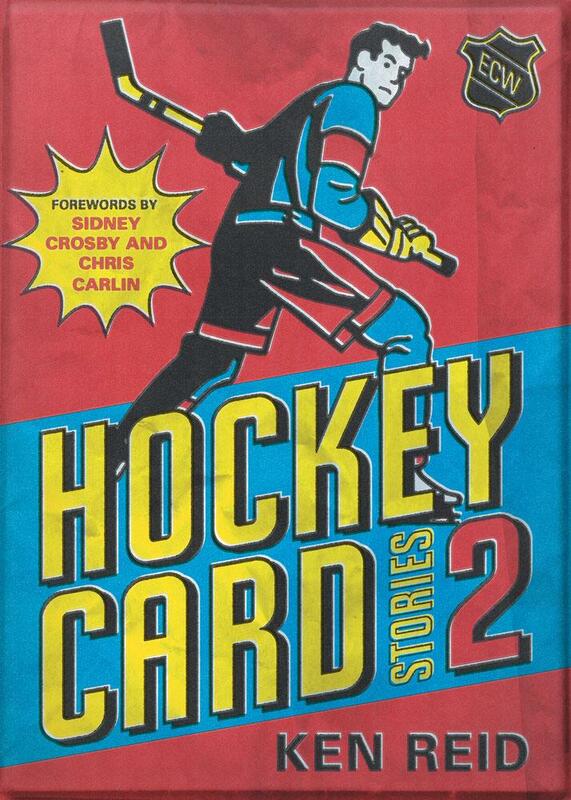 Teebz's Book Club is proud to review Hockey Card Stories 2, written by Ken Reid and published by ECW Press! After having enjoyed the first instalment of Hockey Card Stories, I was excited to get into the 59 new stories about hockey cards and the players featured on them that Ken Reid has crafted in this edition! What cards made the cut? Who is featured in the book? Honestly, Ken did some great work here again to highlight some rather awe some hockey cards and got the stories behind those cards from the men themselves! 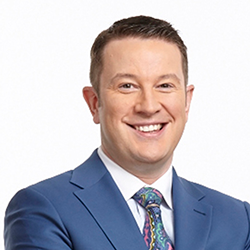 You might know Ken Reid as one-half of the Sportsnet Central anchor team along with Evanka Osmak. Reid grew up in Pictou, Nova Scotia and graduated from Pictou Academy before getting a shot at a local station in Dartmouth. After establishing himself as a credible play-by-play man for the junior A team, the station hired Reid to do a weekly news program where he was editor, videographer, and anchor! Reid moved to Calgary, Ottawa, and Edmonton before landing in Toronto where he worked with CP24, TSN and the NHL Network before landing a permanent gig with Sportsnet in 2011. Ken is married and lives in Toronto. I found Hockey Card Stories 2 very relatable as Ken Reid uses a number of cards in the book that I had as a kid! It's kind of surreal getting the backstory on the pictures on the hockey cards when you had those cards and wondered when and where that picture was taken. Hearing from the players and hearing their opinions on those cards was pretty interesting after wondering about them myself. In any case, let's jump into why you need to read Hockey Card Stories 2! Rather than highlighting star players, Reid takes a different route in Hockey Card Stories 2 by looking at the cards themselves in terms of the photos. Among the chapters are ones entitled "It Was In At The Time", "Airbrush", "Errors", and, my favorite section, "Making It Look Mean". Rather than focusing on which players fit certain sections, Reid fit the cards into the chapter. For example, Reid has a number of cards included in the "Airbrush" section where players who had been traded received some rather obvious airbrushing on their cards. The reactions to these are pretty funny, and the players' reactions to their own highlighted cards throughout the book are appreciated. In fact, one of my favorite passages in Hockey Card Stories 2 comes from a Garth Butcher card highlighted in the "It Was In At The Time" section. Butcher, who was explaining how kids today would have no idea on what he was doing in the picture when he was gluing a wooden blade into his aluminum shaft, told Reid a funny story about the blades he liked for his aluminum stick. He shared the same blade pattern as Hall of Famer Brendan Shanahan who, Butcher says had some sticky fingers. "I kept running out of my blades, and I kept yelling at our trainers, 'Where are they going? You just told me you got some in.' But Shanny was using them. Though he seemed to be able to score better with them." Passages like that are why Hockey Card Stories 2 is just as entertaining as the first edition of Hockey Card Stories that Reid wrote, and there are stories like this in almost every player's recounting of his hockey card days. From players in the 1970s right through to guys who played in the 1990s, the names are probably recognizable not from their career stats, but from their hockey cards which seemed to be "common cards" in old pack. Players like Mark LaForest, Darren Rumble, Randy Cunneyworth, Paul Harrison, and Doug Favell all get the hockey card treatment in Hockey Card Stories 2, and each player's story is as unique and entertaining as the next! You may even learn a fact or two about hockey history when you read through the book. There a card featured in Hockey Card Stories 2 from one member of the trio of defencemen who set the NHL record as the only three defencemen from the same team to score 20-or-more goals in a season! You may also learn who the first free agent was in NHL history as his card is also featured in the book! So not only are you getting some great stories from these NHL legends about their respective hockey cards, but you could be picking up some knowledge to help you win your next NHL trivia game! Overall, I was thoroughly entertained by Ken Reid's Hockey Card Stories 2. The stories provided by the players are funny, engaging, and often revealing about how the photos were taken for each of their cards, and the fact that each player is give just a few pages make it so that the book is easy to read. The chapters make sense considering how hockey card collectors look for the details about each card, and it's within these details that the players get into the who, what, why, where, and when these photos were taken! Because of all this, Hockey Card Stories 2 absolutely deserves the Teebz's Book Club Seal of Approval! You can find Hockey Card Stories 2 at most bookstores and libraries across North America. There are few paragraphs that contain some PG-rated language due to coarse language, so I recommend this book for teenage readers and up, especially if they collect hockey cards!